It's really amazing how a university name or team mascot is wittingly used as another way to sweep off someone's feet and in punch line of a joke. We've gathered some of the popular Cute Banat Lines ng College and University that has once captured not only the hearts of college girls but most of the girls of any age. It's a mere play on words to win your attention and see how the creative idea was unleashed.You can't deny it that once in awhile you fell for these puns and may had utterred one of these lines way back then. Well, you can still share it with your friends to know their reactions. We can say that these lines were well-received and generally gained positive acceptance from those who had already heard and read it. Hope you can also enjoy these Cute Banat Lines ng College and University. Lasalista (La Salle): Miss, ARCHER ka rin ba? Lasalista (La Salle):Di mo pa nga ko pinapana, Tinamaan na ako sayo! Ateneo (Ateneo): Miss, EAGLE ka ba? Atenista (Ateneo): Gusto ko sanang lumipad kasama ka. 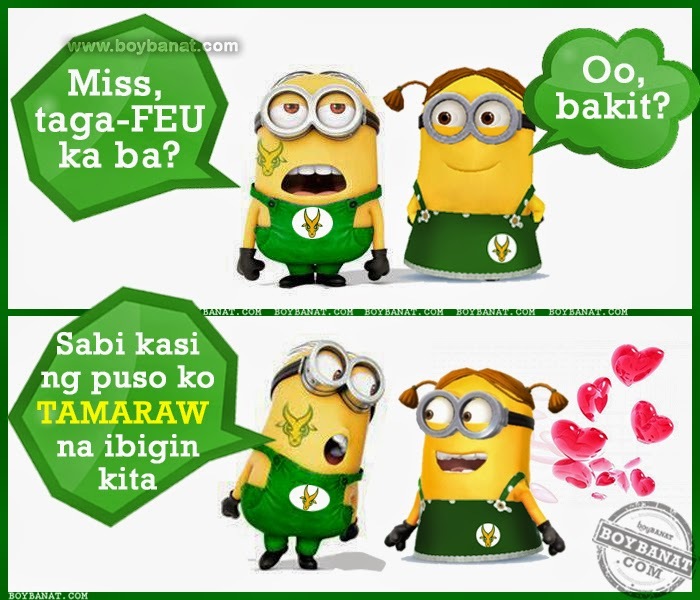 FEU Tamaraw Boy: Miss, taga-FEU ka ba? Adamson Falcon Boy: Taga-Adamson ka ba? Uste Boy: Taga UST ka ba? Uste Boy: Kasi UST-ealing my heart! Bedista (San Beda): Miss, Taga-San Beda ka rin ba? Bedista (San Beda): kasi Bedang Beda ka sa puso ko! Mapua Cardinal Boy: Taga Mapua ka ba? Mapua Cardinal Boy: Kasi, I have a "Big Dreams" to start with you! UE Red Warrior Boy : Miss, WARRIOR ka ba? UE Red Warrior Boy : Suko na ko sayo. Ikaw na ang panalo sa puso ko. CEU Scorpion Boy : Miss, taga CEU ka ba? Baste: Miss taga BASTE ka rin ba? Boy Banat: Miss taga PUP ka ba? NU Bulldog Boy: Miss, sa N.U. ka ba nag-aaral? NU Bulldog Boy: Gusto ko sana magkasama tayo, just me N. U.
Letran Knight Boy: Miss taga Letran ka rin ba? Got Banat Lines in your mind? Let us know and we will be very glad to have them featured here. We're just a message away so feel free to Contact Us. 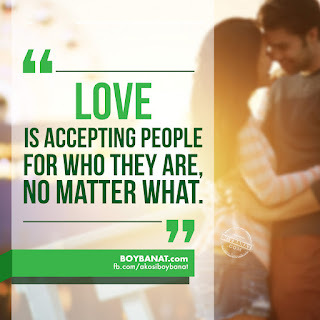 We value your visit to www.boybanat.com and we're happy to keep you posted with our latest features. You can also check Boy Banat Official Facebook Page for more news feed.